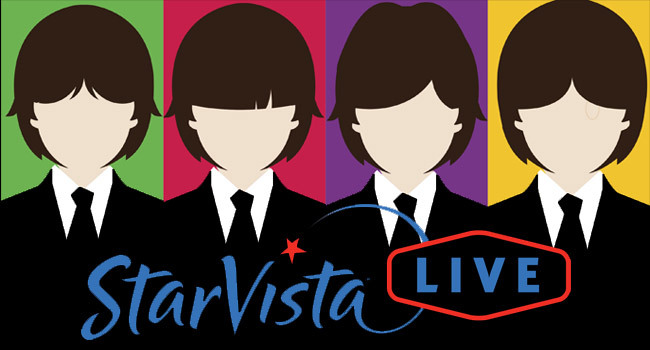 StarVista LIVE, a leader in live entertainment, announces it has acquired a financial and operational stake in Abbey Road on the River, a five day music festival that draws over 20,000 fans annually and is dedicated to the music and influence of The Beatles. The new partnership will heighten the current festival’s artistic and experiential components and develop companion events in new markets throughout the country, as well as build new programs. Abbey Road on the River was founded in 2002 and currently takes place in Jeffersonville, IN, on the northern banks of the Ohio River across from downtown Louisville, KY. StarVista LIVE, associated with the Time Life brand, creates unique entertainment experiences that bring fans together to relive their favorite moments, create new memories, and enjoy unparalleled access to the superstars they love. The two companies previously worked together when Star Vista LIVE contracted with Abbey Road On The River to bring some of Abbey Road’s favorite Beatles-themed entertainment to perform on their Flower Power Cruise and 70s Rock and Romance Cruise as well as to introduce the cruises to Abbey Road’s customer base. As part of the acquisition terms, Jacob will continue in his role as producer of the festival while also working closely with StarVista LIVE to expand the event to multiple locations and develop new live entertainment projects. The two companies plan to build upon the successful Abbey Road on the River concept, share it geographically and expand its artistic offerings. The collaboration brings StarVista LIVE’s access to unparalleled entertainment, via relationships built within its Time Life division as well as their successful and star-studded music cruise programs, together with Jacob’s production skills to create music events for the Boomer Generation, their families and all fans of the era’s music.